GWE are involved in a major restoration and remodelling of a series of historic buildings into a care home in Zirec, north east Bohemia, Czech Republic. The client St Josephs Home, is a charity specialising in the care of patients affected by multiple sclerosis and presently provides care for some 50 residents; the latest phase of work will provide a further 45 beds. Other buildings have also been acquired by the charity, including a former school and brewery dating from the Baroque period. The current work includes the conversion of the historic grain barn and lager beer store adjoining the brewery. These buildings together with the castle and church form a unique space in the centre of the town. Most of the buildings are listed architectural monuments. The buildings are located in Zirec, a settlement that was originally founded by Austrian Jesuits from the church of St Anne in Vienna. The former Jesuit dormitory and church of St Anne, was consecrated in 1703. 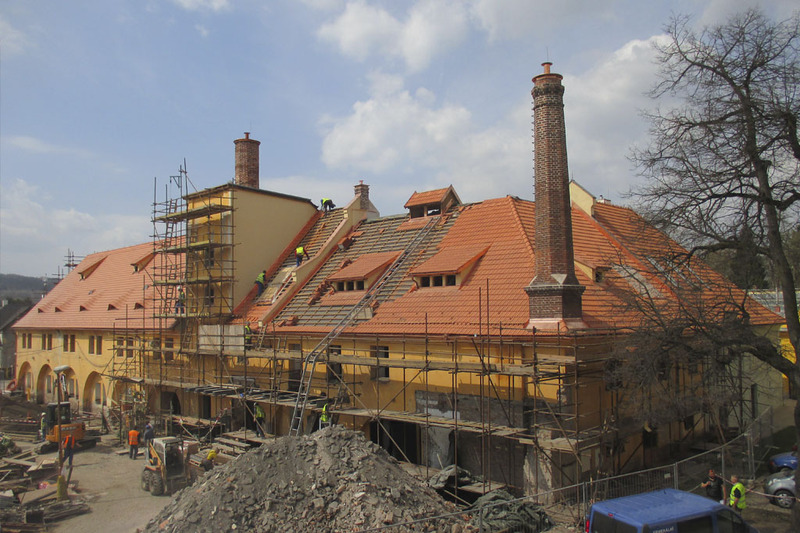 GWE have an extensive history in the restoration and remodelling of historic buildings throughout the Czech Republic and also have specialist knowledge in the design of health care projects and specialist care homes, including the Sue Ryder Home in Prague.